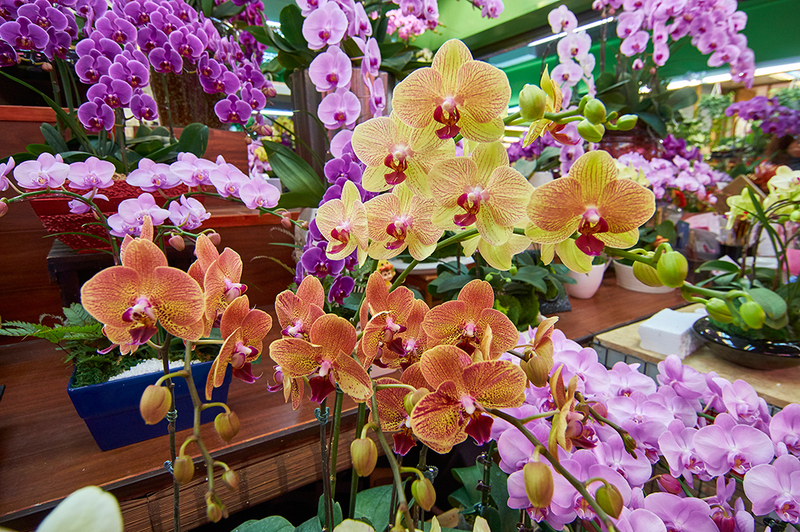 Orchid flowers are available in the Jianguo Holiday Flower Market. 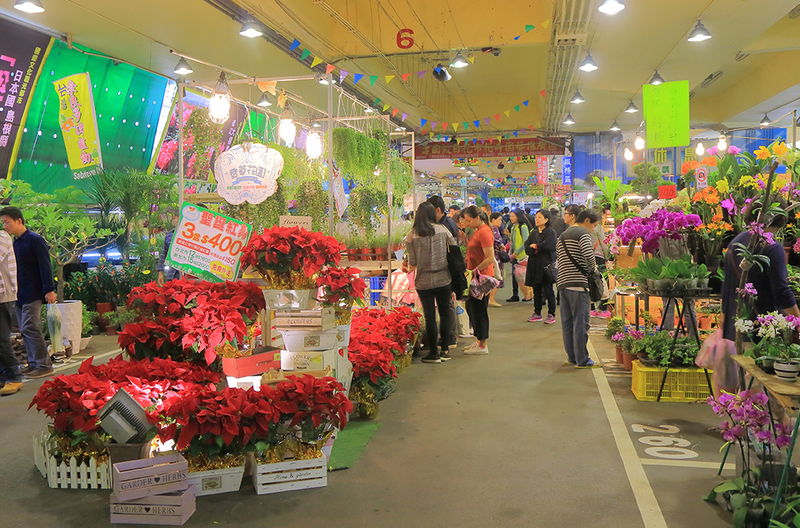 On every weekend and holiday, the Jianguo Holiday Flower Market, located under the overpass of section 3, Xinyi Rd. and Jianguo S. Rd., is always packed with people. With a good mood of non - working holidays, everyone wants to purchase some flowers to brighten their homes. Besides flowers and plants, Jianguo Holiday Flower Market also sells floral instruments and seeds. This is obviously a heaven for gardening lovers. The Da'an Forest Park is sited just right beside the Jianguo Holiday Flower Market; hence it is definitely the best location to admire or buy flowers. Next to the flower market, the Holiday Jade Market offers a wide selection of jade goods. 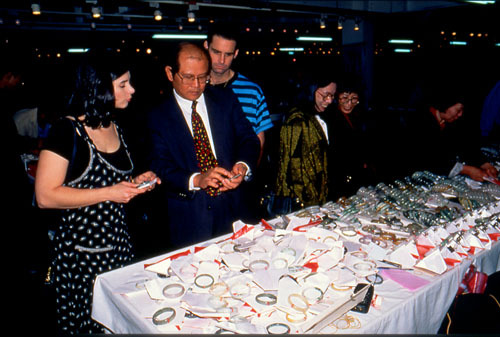 Whether you're looking for a bracelet or a Buddhist charm, the market will likely have what you are looking for. At parking lot that between the overpass of Jianguo S. Rd., Ren-ai Rd. to Xinyi Rd. Take MRT to Daan Park Station, then walk along Sec.3 Xinyi Rd. to Jianguo S. Rd.